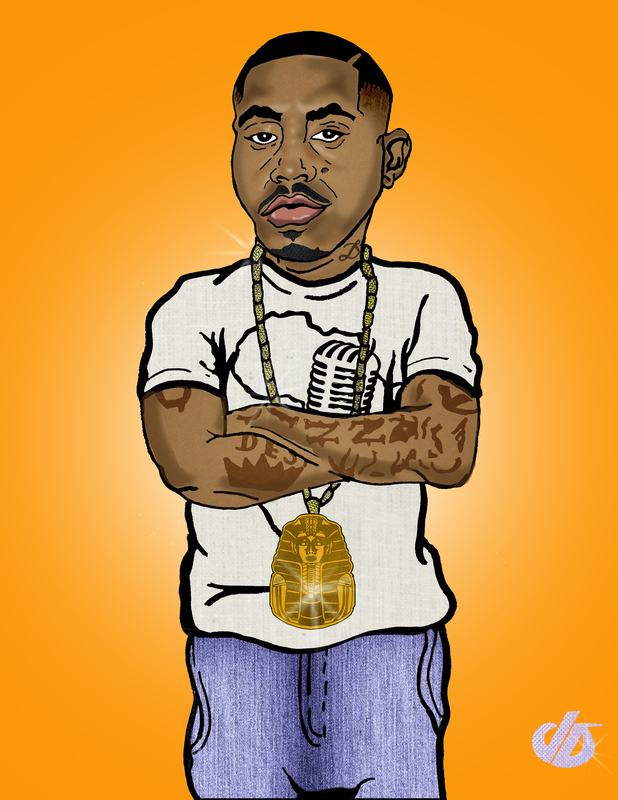 Hey everyone I’m back this week to https://joedichiara.wordpress.com with finished character art for the second installation of my “Hip-Hop Beef” Illustration series. Last week I posted the first finish for the series of “Ja Rule vs. 50 Cent, this week is one of my favorite rap battles “Jay-Z vs. Nas”. Although presently these rappers have ended their feud and even collaborated on projects, this “beef” was one that goes down in history as one of the greatest. 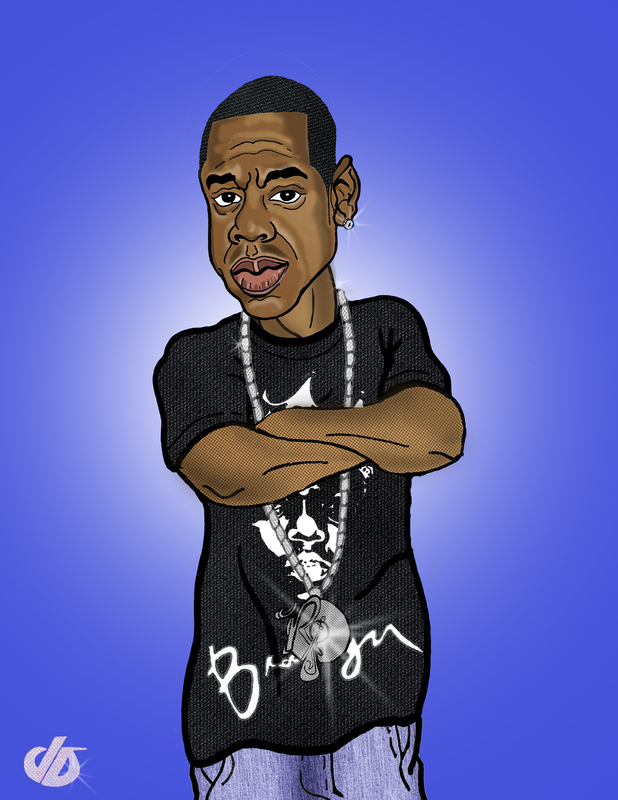 Here is my finished character artwork for Jay-Z & Nas, be sure to check back this week for the final composition and artwork posted to https://joedichiara.wordpress.com and http://www.joedichiara.com! A few years ago I had the pleasure to see Nas perform while in college, I came across this video clip of him performing “Got Urself A Gun” from that show, one of his songs that was popular during the time of his “beef” with Jay-Z.